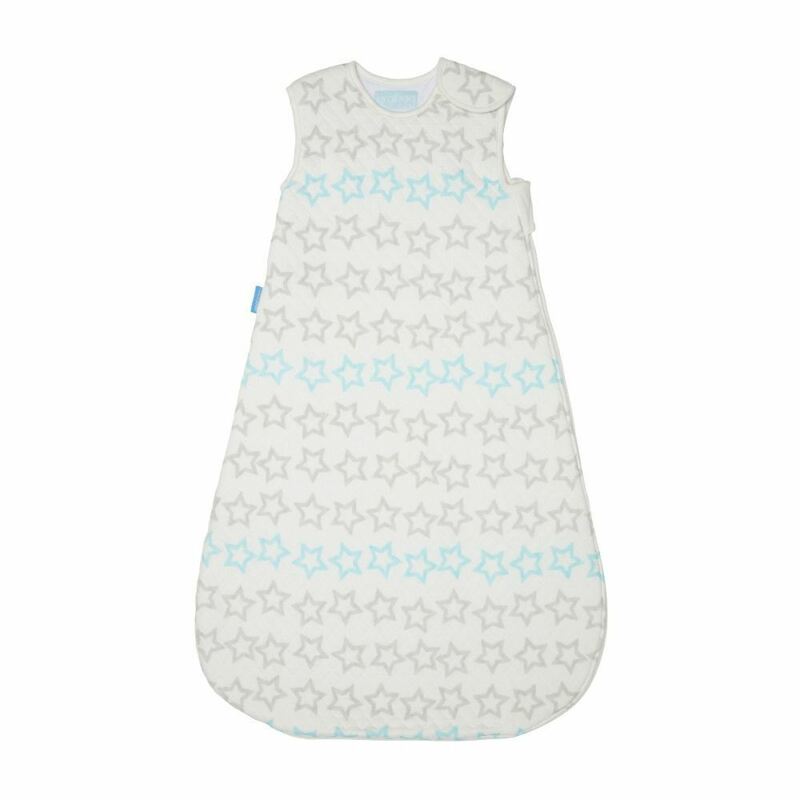 GROBAG - Interstellar Sparkle,The Baby Sleeping Bag that allows your baby to sleep comfortably through the night - In a sparkly print of stars! 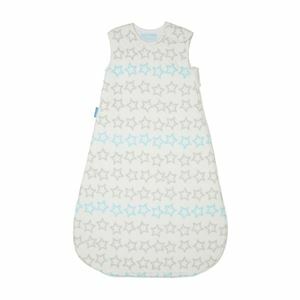 This Grobag comes in a sparkly print of grey and blue stars and has knitted pockets for that extra softness and air flow. It is available in 1 warmth rating called Tog to make sure that your baby is sleepig at the right temperature inside the grobag. The factors that determine the tog rating of the bag depend upon the number of clothes that the baby is wearing, room temperature and baby's health. The nursery thermometer (included) can be used to pick the correct tog.